The trio Vidar Skrede DYNAMO BAND, presents music composed by Vidar Skrede, a folk music fiddler with origins in Norway and with solid Nordic influences and beyond. The music has a strong focus in the tune with a melodic and grooving attitude without any concerns of being either inside or outside any musical boxes, which leaves the tunes in a powerful, sentimental and somewhat naïve expression. The Nordic influences are natural and present out in the open, being the wind power behind the style, with maybe a bit stronger winds from Norway since the main instrument through most of the tracks is the Hardanger fiddle – the Norwegian national instrument. Some of the tunes are brought from Vidar’s more imaginary places and are a bit harder to pin point to any specific origin, such as the Monkey tunes. The sound is carried out by Vidar Skrede on Hardanger fiddle, ordinary fiddle and foot stomping, Pilvi Järvelä on harmonium, and Jani Kivelä on cittern – this constellation also forms the trio Vidar Skrede DYNAMO BAND. The three of them are are all recognized artists on the Nordic folk music scene. Besides being a fiddler, Vidar Skrede is also a guitarist and known from bands such as AAMOS (a trio with Shetland fiddler Kevin Henderson), Geitungen (an award winning Norwegian trio of traditional music from Rogaland), The Secret Carpet Club (a Swedish folk trio) and several other projects and CD releases. Pilvi Järvelä has both background in classical music and folk music on both piano and harmonium, and she is one of the members of Tsuumi Sound System, a world music band that has toured extensively in Europe and won many awards both in Finland and abroad. Jani Kivelä has a background in pop, jazz and rock as well as folk music, and he is a widely heard guitarist these days with bands like Tanguedia Quintet and Esko Järvelä Epic Male Band and is also in Tsuumi Sound System. Vidar Skrede DYNAMO BAND has been touring, performing and making music since 2009. 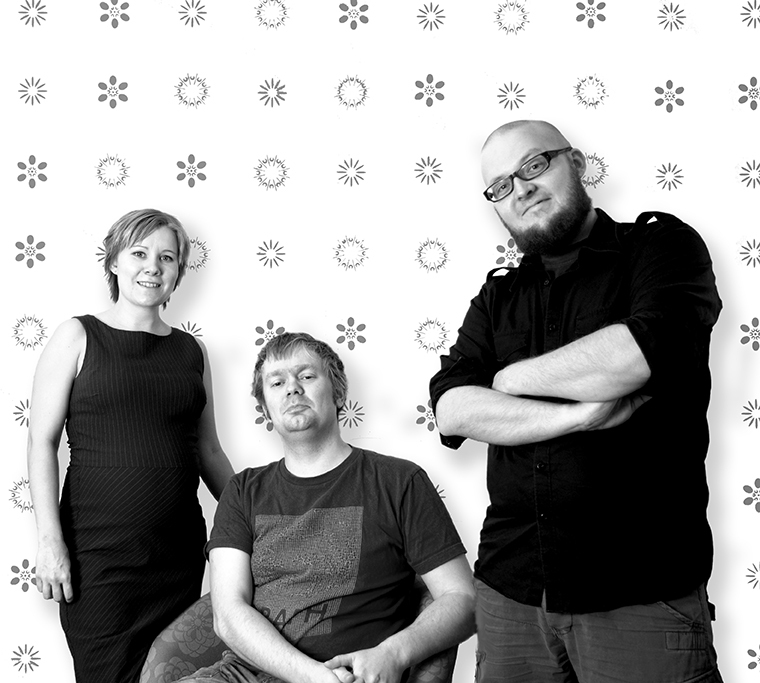 Their debut album, Happy Monkey, was nominated for best folk music album at Emma awards (the Finnish grammy awards), and is a result from these first years together and their strong musical chemistry, and not the least a statement of music with love and urge for the tune – an album with music generated by tune power.